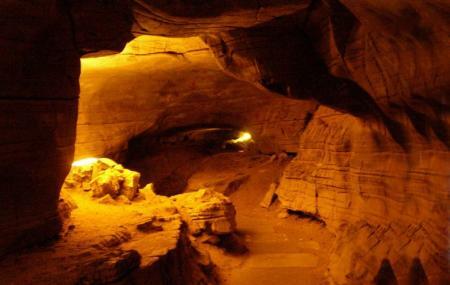 Mawmluh cave is one of the longest caves in Indian Sub Continent as it stretches for about 4,500 meters. Locally known as Krem Mawmluh, this cave is located at a distance of around half a kilometre to west of Cherrapunjee, and is one of the prominent tourist attractions of the destination. The entry to this cave is located at a height of 10 ft above sea level. In addition, there is a pool inside the cave, which is formed as a result of five different rivers finding their way inside the cave. There is a pool inside the cave, which is formed as a result of five different rivers finding their way inside the cave. People who are claustrophobic should avoid getting inside. How popular is Mawmluh Cave? People normally club together Don Bosco Shrine and Dain-Thlen Falls while planning their visit to Mawmluh Cave.